Maxus Mild, New kids on the block. Test market of the Maxus Mild in fact already done in several cities in Indonesia in August 2016 and then, where in this case the Maxus thrown to the city with a population of middle class and evenly. Maxus, with cheap price and taste better than Mild Jazy make Maxus ought to be taken into account in this segment smoking SKM LTLN Value For Money which is currently dominated by a few only big manufacturer Group I and Group II which many manufacturers make smoking. At the very least, Nojorono trying to maximize on-site SKM LTLN they had to head off The cigarette manufacturer II whose products are very easy to be found because the tax basis is cheaper but the price is usually more expensive. With two reasons that admin mentioned above, Maxus Mild could be taken into account in the segment Value For Money which generally offers the kind of taste that is more powerful but not sesmooth smoking SKM LTLN premium grade that is priced above 15,000. 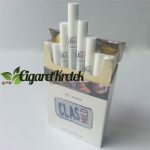 Maxus offers the typical smooth sensation Clas Mild however by the presence of efficiency in the selection of tobacco and clove make smoking a mild sensation offers premium but with cheaper prices than competitors who played on the number above, 14,000. 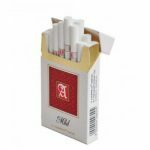 Nojorono indeed few have portfolios smoking SKM, but once they make this type of cigarettes, generally more consumers can receive because the architect of a kind smoking SKM LTLN i.e. Muhammad Warsianto work in this company as a Senior Advisor.